The Tunisian uprising and subsequent protests in Egypt have sparked discussion about the potential for democracy in the Arab world. Having managed to overthrow their repressive leader, the Tunisian people look poised to embrace Western-style government. Though some find the Arab wave of democracy long overdue, experts warn that achieving real representative government may prove extremely difficult. As unrest begins to boil elsewhere in the region, observers ask–is the Middle East ready for a democratic revolution? Police have been virtually absent from the streets since Saturday, after a brutal crackdown a day earlier when thousands of riot and plainclothes police clashed violently with protesters.On Sunday, low-flying fighter jets overhead did nothing to deter thousands of Egyptians from continuing their protests into the night. The arrival of Nobel laureate Mohamed ElBaradei in Tahrir Square fueled their fervor. Throngs cheered as the leading opposition figure entered.ElBaradei, a former head of the International Atomic Energy Agency, is one of several opposition figures whose name surfaces when protesters talk about possible future leaders of Egypt. Among other names is Amr Moussa, head of the Arab League. But Mubarak has given no indications of giving up his 30-year rule. On Sunday, he urged the leaders of his new Cabinet to undertake “dialogue with all the (political) parties,” according to a transcript of his remarks read on state-run Nile TV. Nile TV reported that roughly 1,000 inmates escaped from Prison Demu in Fayoum, southwest of Cairo. Inmates also broke out of Abu Zaabal prison in Cairo and the Ataa prison in Al Badrashin, a town in Giza, Nile TV said. The protests in Egypt come weeks after similar disturbances sparked a revolution in Tunisia, forcing then-President Zine El Abidine Ben Ali to flee the country. Both Egypt and Tunisia have seen dramatic rises in the cost of living in recent years and accusations of corruption among the ruling elite. Tunisia-inspired demonstrations have also taken place in Algeria, Yemen and Jordan. The aging Mubarak has ruled Egypt with an iron fist for three decades, and it was widely believed he was grooming his son, Gamal, as his successor — a plan now complicated by demands for democracy. 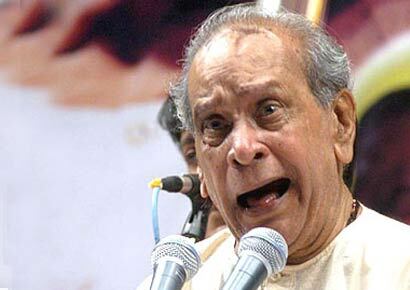 The world of Hindustani Classical Music lost a gem – Pandit Bhimsen Joshi today. 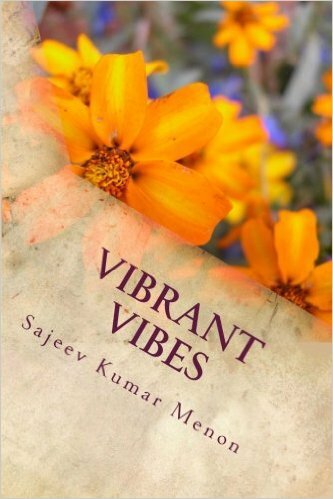 He was born into a Kannada Brahmin family in Gadag, Karnataka. His father, Gururaj Joshi, was a school teacher and Pandit Bhimsen Joshi was the eldest of 16 siblings. He was mostly raised by his step-mother, as his own mother passed away when he was very young. A practitioner of the Kirana gharana, Joshi was known for his mellifluous ‘khayals’ as well as for his popular renditions of devotional ‘abhangs’ and ‘bhajans’. What distinguished him from the ordinary was his powerful voice, amazing breath control, fine musical sensibility and unwavering grasp of the fundamentals that made him the supreme Hindustani vocalist, representing a subtle fusion of intelligence and passion that imparted life and excitement to his music. He was honoured with the Padma Shri (1972), Sangeet Natak Akademi award for Hindustani vocal music (1975), Padma Bhushan (1985) and Madhya Pradesh government’s “Tansen Samman” in 1992. Bharat Ratna was bestowed on him in 2008. Bingo – look who is trending on twitter! Here, in a visual nutshell, are some highlights about Facebook usage, 2010 trends, adoption numbers and a great deal more. 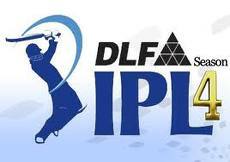 Today the news and twitter were all following the IPL4 auctions. Glitz, glamour and big money will be on display at the two-day Indian Premier League (IPL) auction here Saturday-Sunday as 350 cricketers go under the hammer for the fourth season of the money-spinning league. The IPL-4, beginning in April, just about two weeks after the end of the cricket World Cup jointly hosted by India, Sri Lanka and Bangladesh, is expected to feature 10 teams, with Kochi and Pune being the two new entrants. As a long day wound to a close at the ITC Royal Gardenia Hotel, Gautam Gambhir emerged on top of the pile as he earned the highest price of $2.4 million from Kolkata Knight Riders. Team-wise on Saturday at 6 p.m.
Kolkata Knight Riders: Gautam Gambhir , $2.4 million; Yusuf Pathan, $2.1 million; Jacques Kallis, $1.1 million; Brad Haddin, $325,000; Shakib Al Hasan, $425,000; Brett Lee, $400,000; Eoin Morgan, $350,000; Manoj Tiwary, $475,000. Pune: Robin Uthappa, $2.1 million; Yuvraj Singh, $1.8million; Graeme Smith, $500,000; Tim Paine, $270,000; Angelo Mathews, $950,000; Ashish Nehra, $850,000; Nathan McCullum, $100,000; Callum Fergusson, $300,000. Mumbai Indians: Rohit Sharma, $2 million; Andrew Symonds, $850,000; David Jacobs, $190,000; James Franklin, $100,000. Delhi Daredevils: Irfan Pathan, $1.9 million; David Warner, $750,000; Naman Ojha, $270,000; James Hopes, $350,000; Morne Morkel, $475,000; Aaron Finch, $300,000. Kochi: Mahela Jayawardene, $1.5 million; V.V.S. Laxman, $400,000; Brendon McCullum, $475,000; S. Sreesanth, $900,000; R.P. Singh, $500,000; Parthiv Patel, $290,000; Ravindra Jadeja, $950,000; Steven Smith, $200,000; Muttiah Muralitharan, $1.1 million; Ramesh Powar, $180,000; Brad Hodge, $425,000. Royal Challengers Bangalore: AB de Villiers, $1.1 million; Dilshan Tillakaratne, $650,000; Zaheer Khan, $900,000; Daniel Vettori, $550,000; Saurabh Tiwary, $1.6 million; Dirk Nannes, $650,000; Cheteshwar Pujara, $700,000. Deccan Chargers: Cameron White, $1.1 million; Kevin Pietersen, $650,000; Kumar Sangakkara, $700,000; J.P. Duminy, $300,000; Shikhar Dhawan, $300,000; Ishant Sharma, $450,000; Dale Steyn, $1.2 million; Pragyan Ojha, $500,000; Amit Mishra, $300,000. Rajasthan Royals: Ross Taylor, $1 million; Rahul Dravid, $500,000; Johan Botha, $950,000; Paul Collingwood, $250,000. King’s XI Punjab: Adam Gilchrist, $900,000; Shaun Marsh, $400,000; David Hussey, $1.4 million; Dinesh Karthik, $900,000; Stuart Broad, $400,000; Abhishek Nayar, $800,000; Praveen Kumar, $800,000; Ryan Harris, $325,000; Piyush Chawla, $900,000. Chennai Super Kings: Michael Hussey, $425,000; Wriddhiman Saha, $100,000; Dwayne Bravo, $200,000; Doug Bollinger, $700,000; R. Ashwin, $850,000; S. Badrinath, $800,000. After giving away my cichlids and aquarium, I recently bought my daughter 2 pet hamsters . One is ‘Shy’ and the other ‘Active’. They are very cute pets. She loves to carry them around every day and also takes care of their needs like feeding and cleaning. Hamsters are nocturnal . They eat sunflower seeds, dried coix, wheat flakes, etc. They drink water which is generally mixed with some vitamins. They spend their time grooming and doing exercise in running wheels. One of my favourite poems is If by Rudyard Kipling. This poem written to his son is thought-provoking and has practical value even a hundred years after it has been penned. The message in the poem is to be humble, conquer our likes and dislikes and to enjoy life in even trying moments.